Sometimes choosing an appropriate luggage can be incredibly difficult. What are the most reputable? Well, in order to assist you, we have collected information about luggage reviews from customers who have shared their feedback. Additionally, we have found the best luggage brands that are out there for you. We also carefully read reviews on Amazon and brand websites, so that we can share the most comprehensive and up to date information with you. Customers after all have used the luggage and know all about its strengths and weaknesses. Best Luggage sets A luggage set should have at least 2 pieces of different sized luggage carriers. Although there are no specific and standard set features between luggage brands, we did note some general specifications of our chosen luggage brands. Generally speaking larger luggage carriers are used to check in at the airport; medium sized carriers can be used as a carry-on case and the smaller carriers are generally used for personal items that you need close to hand. The better luggage brand sets come with 8 pieces of luggage with a variety of different sized carriers. Carry-on luggage – It is usually in the form of wheeled carriers, messenger bags or even backpacks. Wheeled carriers should ideally have wheels that spin in all directions for ease of use and should also incorporate an adjustable carry handle. Messenger bags and backpacks are used for the convenience of carrying personal items with you at all times. When choosing a luggage brand you need to ask yourself the following questions. Do you need a luggage set or single carrier? If you are a seasoned traveler, then it is ideal to buy a luggage set, as this will give you a greater variety of different sized carriers for packing your clothes, personal belongings and using as a carry-on. However, if you rarely travel or are only traveling a short distance and for a short time, then one medium sized carrier will probably suffice. Should you choose a hard or soft case? Hard cases are obviously strong and durable and protect your belongings rather well. However, they are always at risk of being scratched and can be somewhat bulky at times. On the other hand, they are very easy to clean. Soft cases usually offer a greater flexibility when packing and ‘give’ more. This is especially useful on a return trip from holiday, as you can pack more into the case. They also usually are a bit more forgiving with wear and tear. 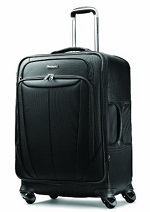 Below we have listed the best luggage brands that we have found according to luggage category. Our reviews on the top 4 luggage brands that are currently out there. These are based upon customer satisfaction. This has to simply be one of the best pieces of luggage that are currently available. Infact, Samsonite is one of the best brands that money can buy. 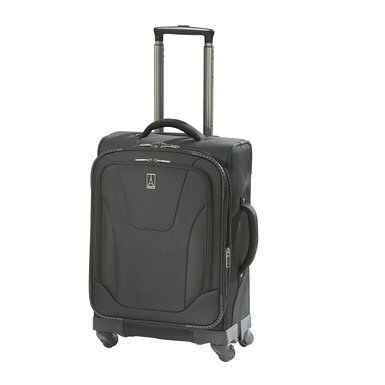 It costs just over $100 but with many favorable customer reviews, this is the spinner luggage that you should own. 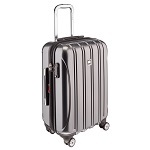 Spinner luggage is simply the term that is used for a piece of luggage that has four independently spinning wheels, used for ease of pulling along behind you on busy streets and in crowded airports. The ‘soft shell’ case comprises of 85 percent polyester and 15 percent nylon and is available in a choice of red, blue or black. This luggage carrier is advertised as a carry-on case but you do need to check with the airline you are flying with that the luggage will fit into the overhead carrier. It measures 21 x 15 x 8 and weighs a light 9lbs. 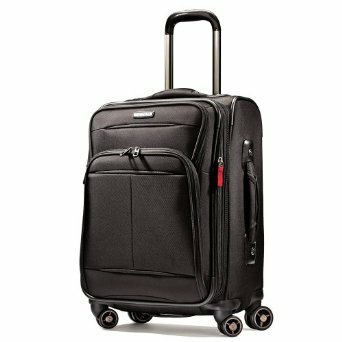 A useful feature of this luggage spinner is that it incorporates many different pockets, one of which is large enough to hold a laptop. A general consensus from the luggage reviews we read commented that the material of each carrier, that is made from 100 percent polyester, was durable and sturdy and would last a long time. Many consumers also commented that although the set is sold as a hard shell, it is made form material that has a slight give in it. 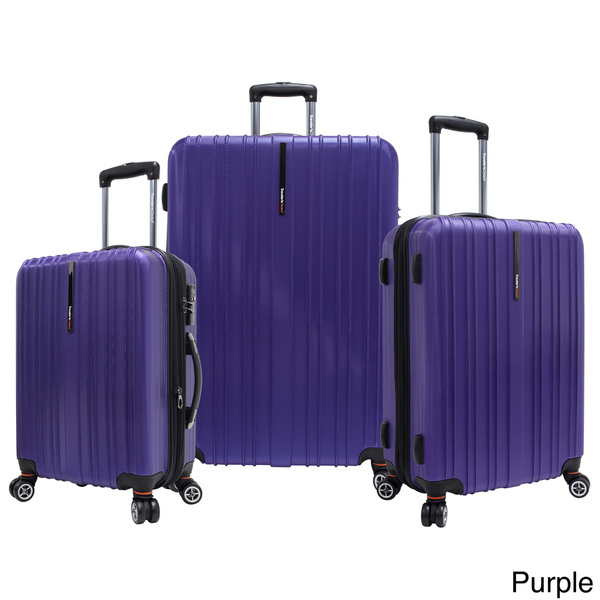 This luggage set is great value for money and will last a long time, no matter how often it is used. This is the luggage to own when you plan to go on a short trip. At 1.1 pounds it is incredibly light to carry and as it is on the small side at 11.5 x 18 x 25, it also makes a great weekend bag or even baby changing bag, with its assortment of inside pockets and adjustable/removable shoulder strap. With a choice of colors, including espresso, purple and pink, there will be a color choice to suit everyone. 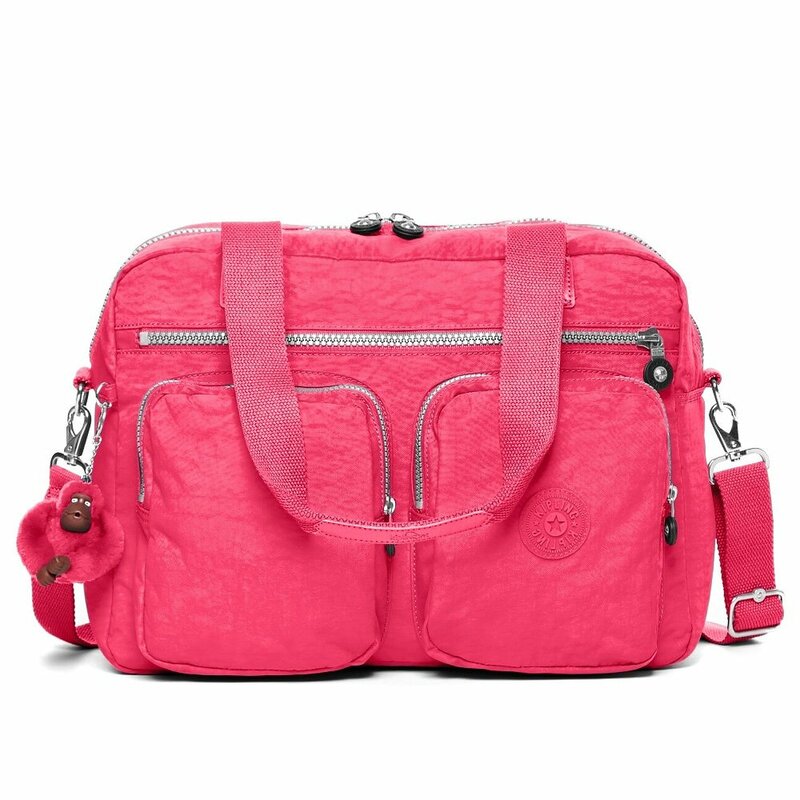 Made from 100 percent nylon with a soft inner lining, this bag is incredibly versatile and is very typical of he quality offered by Kipling. 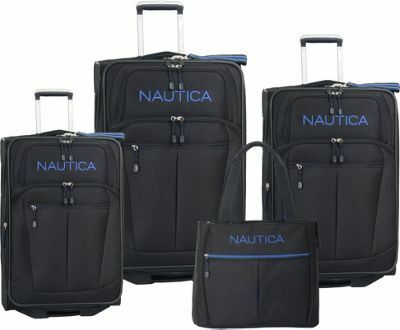 Nautica is a well known quality luggage brand and this luggage set comprises of a 28, 25 and 21 inch suitcase. The tote measures 17 inches. 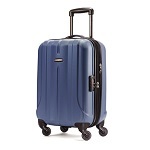 Although none of the carriers have spinner wheels this does not stop this set from making are ‘best luggage brand list’. This is for a number of reasons. Firstly they all fit meaty inside each other for storage purposes and secondly they are made to an exceptionally high standard and quality. Basically, you get what you pay for. You may be able to pay a lot cheaper for a basic brand but how long will they last? If you plan to do a lot of traveling, then paying a bit more is a wise decision. This luggage set will most definitely last you a very long time. We do hope that these best luggage reviews for brands have helped you to be better informed when it comes to choosing your very own luggage.